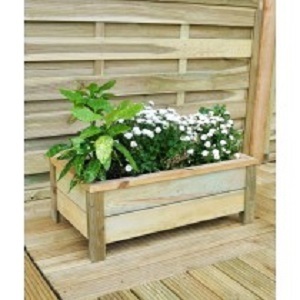 Whether you are looking to add vibrancy and life to a patio garden, decorate your front porch or start your long-awaited vegetable patch, our range of planters, tubs and veggiebeds will hit the spot. Our traditionally crafted rustic oak barrels, hand-manufactured from recycled whisky barrels, add character and charm to any garden. Zest’s Vegetable Bed, is the perfect starting point for your vegetable garden, the manger style makes for the ideal place to plant shallow and deep rooted vegetables and herbs. Or how about Grange’s Trellis Obelisk, ideal for growing runner beans or beautiful climbing plants. And for your beautiful blooms, the stylish Hexagonal Planter trio, from Forest, with their unique shape adds eye-catching detail to your patio.